On 27 June 2014, pupils from grades 1-4 from the Opuwo Christian School came for a visit. 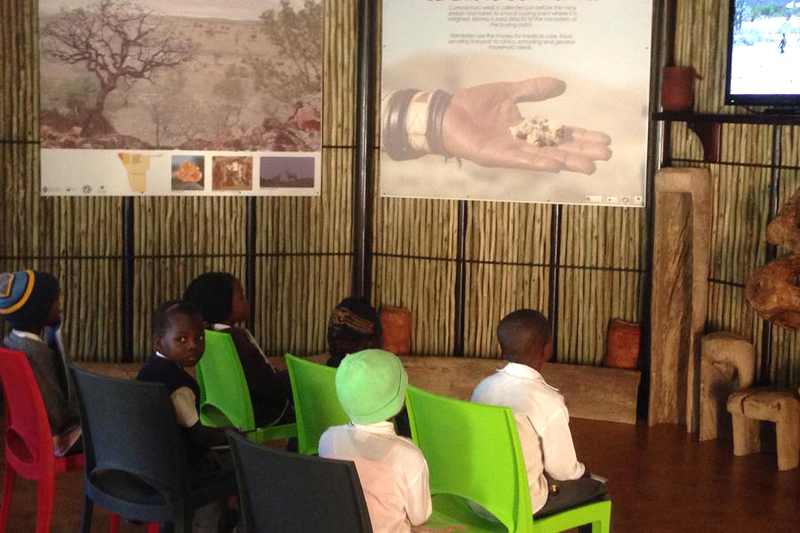 Groups of 8 children at a time came to OPF and the Scents of Namibia Visitors Centre. All groups were given a short tour of both places and were welcomed to ask any questions. A small sample of the resin was given to the teachers in order to show parents or other guests to the school. All of the children said it was a valuable experience to see how previously thought ‘useless’ items could be used to help the local communities.